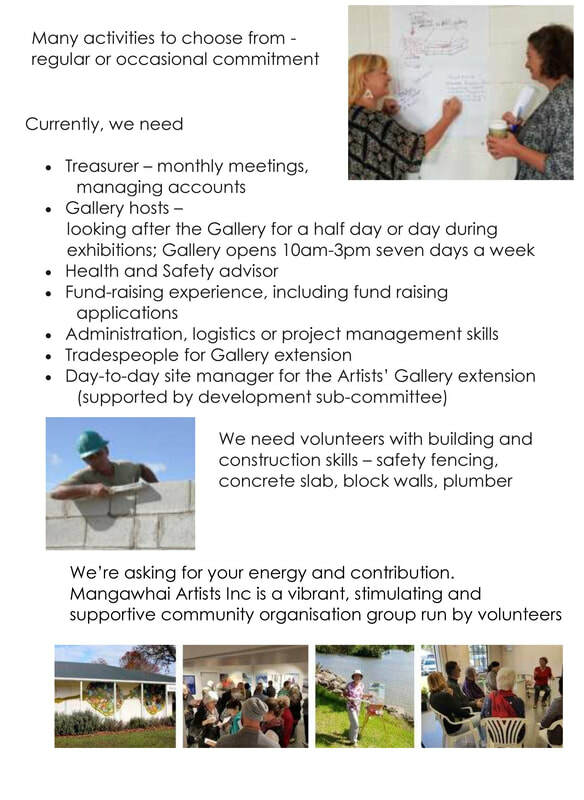 Would you like to get Involved with Mangawhai Artists Inc? 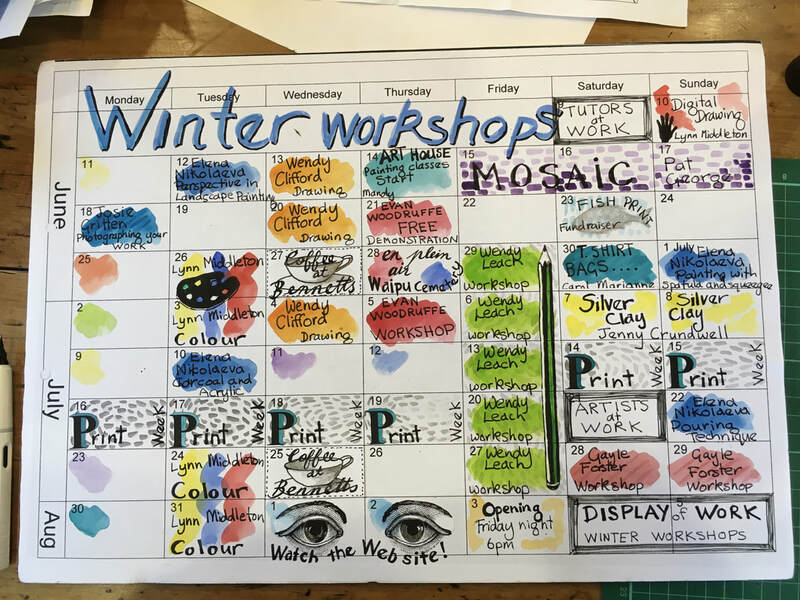 ​You don't need to be an artist, we need other skills to help us run our organisation. 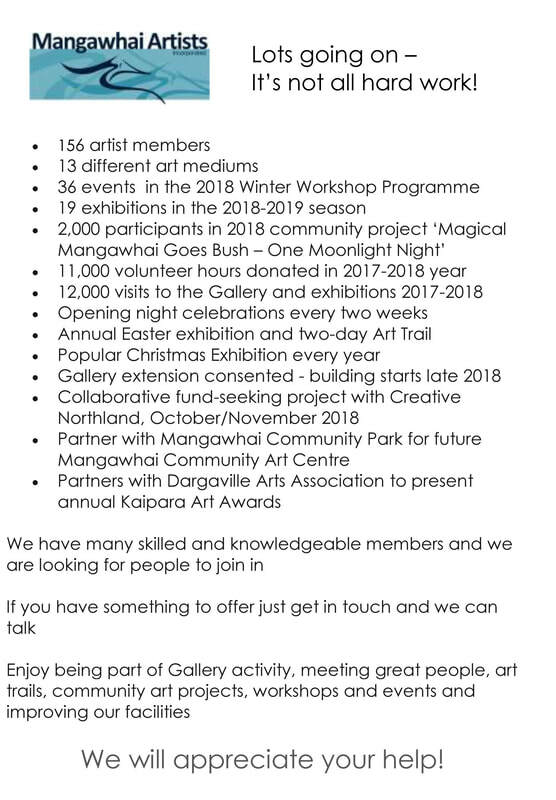 Our Winter Workshops season at Mangawhai Artists Gallery has now finished and will recommence in June 2019. 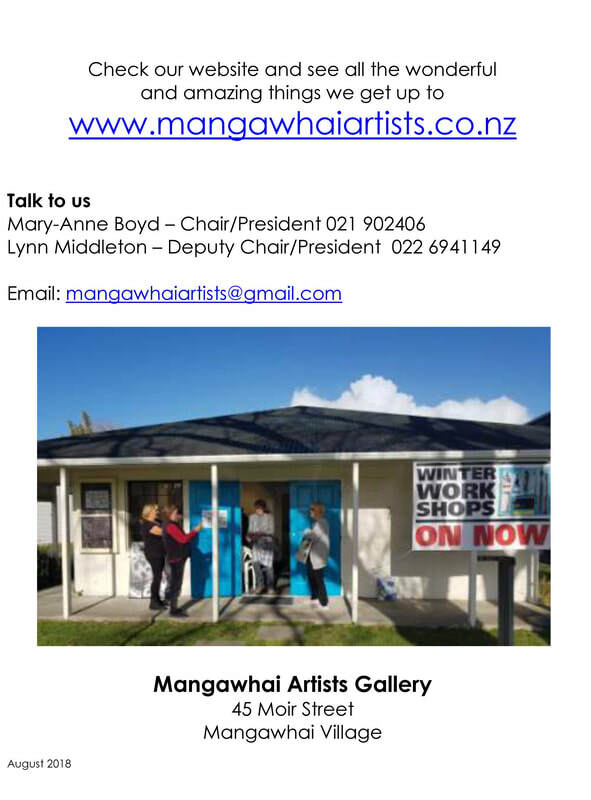 ​the Mangawhai Artists Gallery in Moir St.
​The gallery owners are artist Johnnie Daley and his partner Becky Burton who will be the Gallery Manager. Above, two of Johnnie's original artworks. We both have backgrounds that are very much built around building relationships with people, so of course we love working with people. 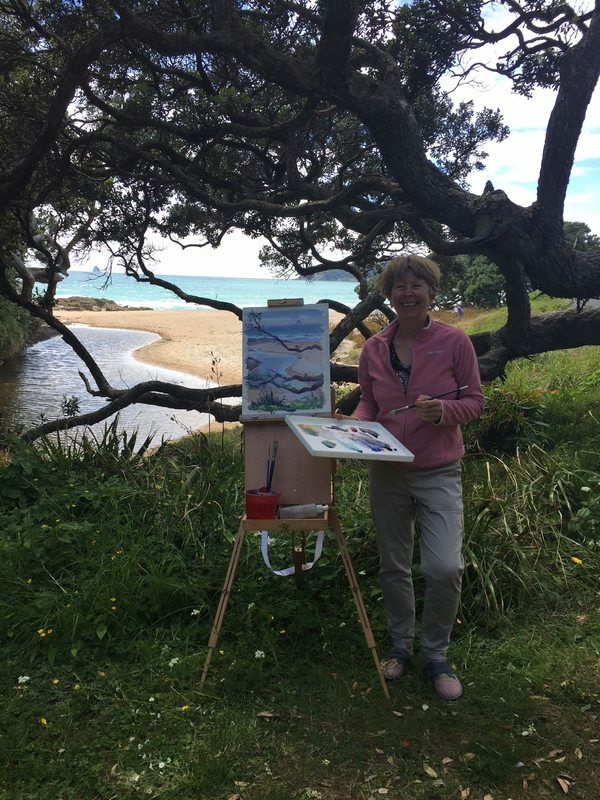 After both gaining degrees in Psychology (Johnnie also studied Graphic design and Maori Art), Johnnie went on to work for the department of corrections in the field, while Becky worked at a youth rehabilitation centre. After moving on from these roles we found ourselves both working as Drug and Alcohol Counsellors with youth in schools around Auckland, which is where we first met. A couple of years later and we were both feeling quite desensitized about the world of alcohol and drugs so decided to go on a backpacking adventure around Southeast Asia before planning on our next step. Becky went on to study Natural Medicine, then became Store Manager of a natural foods store, while Johnnie worked as a coffee roaster/barista and helped run a coffee business. Since we had met, the joint dream had always been to open an art gallery, as art has always been a big part of both of our lives, it had just never quite been the right time. 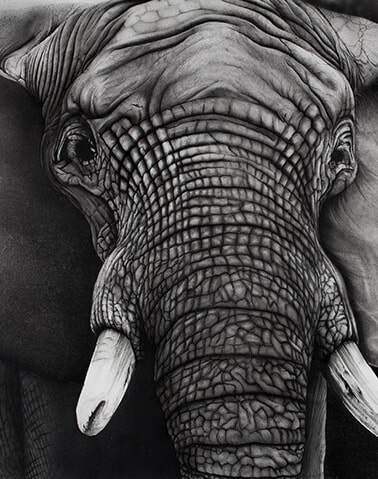 In 2014 Johnnie decided to pursue art as a career, initially on the weekends, and eventually cut down his coffee days to become a full time artist. 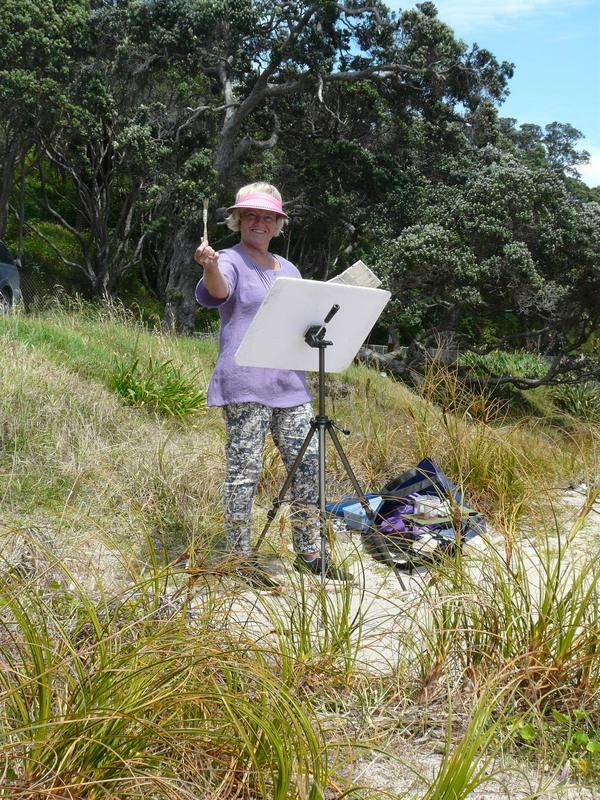 Then we had our daughter Scarlet, and more recently moved up to Mangawhai, very close to Johnnie's hometown of Maungaturoto. Becky also has close ties to Mangawhai, she has family living here as well as having a family bach here that she has spent many years staying at. We continued to speak about opening an art gallery and when the opportunity came up we grabbed it! We truly believe in order to have the life you really desire you must make or take opportunities when the chance comes otherwise life really will pass you by. 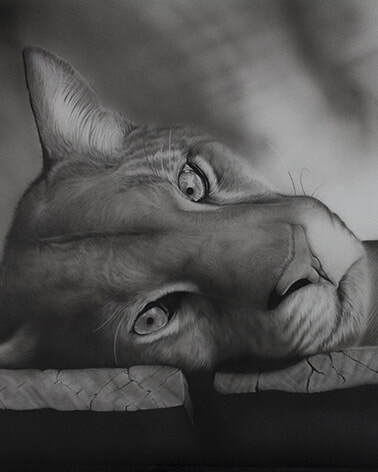 The gallery will be full of a range of different art styles of differing sizes, medium, and a range of prices, but they will all be of a very high standard. You will always be able to find a nice selection of art created by very talented local artists as well as amazing artists from around NZ and abroad. 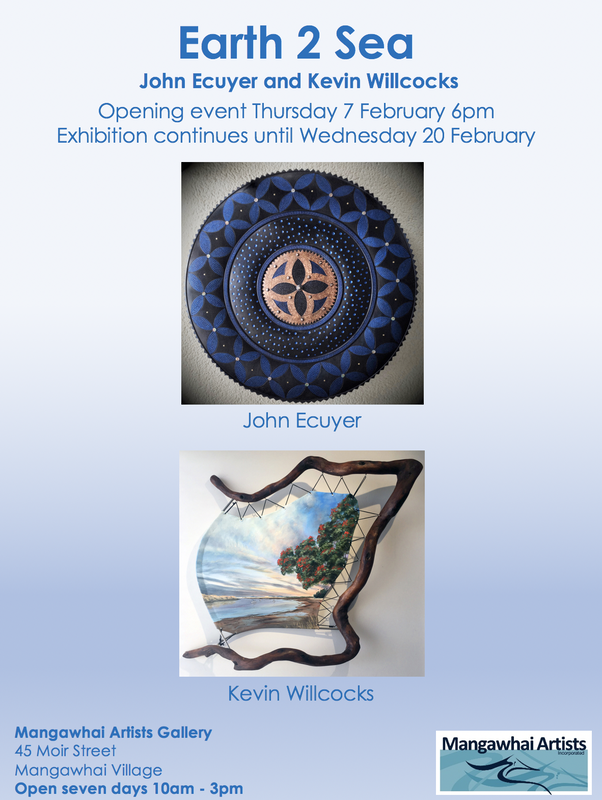 Becky will be managing the gallery while Johnnie will continue to work as an artist as well as having the role of Gallery Director. 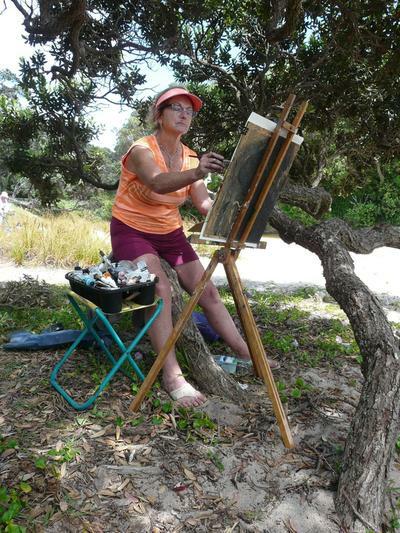 We welcome anyone and everyone into Scarlet Art Gallery, and hope you will enjoy your time surrounded by beautiful art. ​Johnnie and Becky, we are excited about your new venture and wish you well! On Wednesday mornings, join Elena Nikolaeva as she heads outdoors to sketch and paint 'en plein air'. 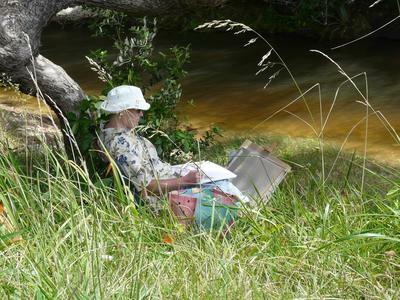 This is not a class, just a group of artists joining together to draw and paint landscape, and enjoy each others’ company. There is no charge. 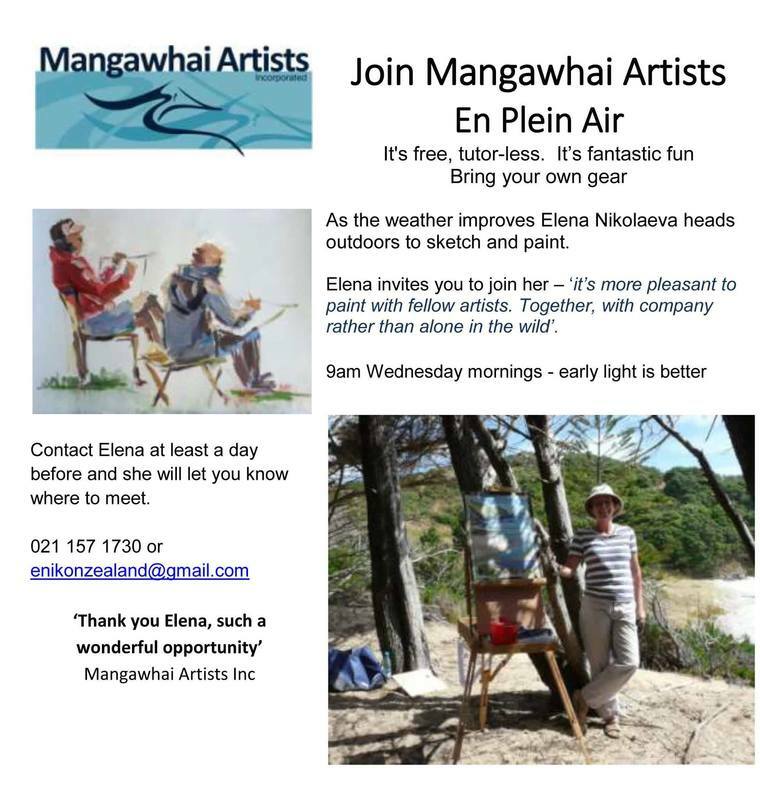 Contact Elena on 021 1571730. See photos below.